Microsoft Ignite will be hell add may 4-8. The session catalog contains 275 sessions, covering products like Exchange (49), Office 365 (85) and Skype for Business (26). It will be the first major Microsoft event where details will emerge on the next version of Exchange, Exchange v.Next. 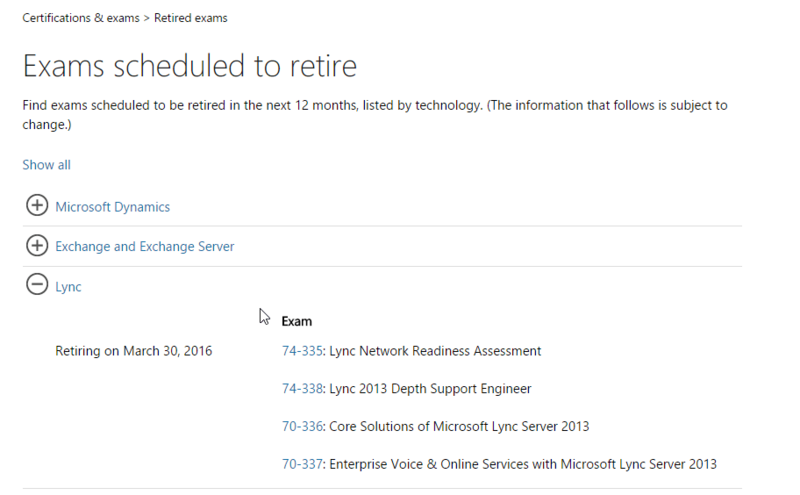 The next version of Exchange Server is arriving in the second half of 2015. A short heads-up as the session catalog for Microsoft Ignite has been published. So, if you are still undecided or already want to pick ‘must see’ sessions for your schedule, you can check the session catalog here. I will not attend Ignite. But i hope the sessions wil be publishd on Channel 9 here. There are lots of tools for Exchange Server available, you can find most of them at the Exchange Server Wiki (some of the tools listed are for previous versions of Exchange). Office 365 Best Practices Analyzer for Exchange Server 2013: it’s back after a short period of absence, run it regularly. Calendar Checking Tool for Outlook (CalCheck): checks Outlook Calendar for potential problems. Exchange Client Network Bandwidth Calculator: helps to predict network bandwidth requirements for a specific set of clients. Exchange Remote Connectivity Analyzer (ExRCA): provides a test system for administrators to use to validate external connectivity to Exchange. Microsoft Exchange PST Capture: discover and import PST files into Exchange Server or Exchange Online. Exchange Server Deployment Assistant (ExDeploy): generates custom instructions for moving your organization to Exchange 2013 or Office 365. MFCMAPI: provides access to MAPI stores through a GUI to facilitate investigation of Exchange and Outlook issues and to provide developers with a canonical sample for MAPI development. Microsoft Active Directory Topology Diagrammer – reads Active Directory configuration using LDAP, and automatically generates a Visio diagram of your Active Directory and/or Exchange topology. New Office Visio Stencil: This set of stencils contains more than 300 icons to help you create visual representations of Microsoft Office or Microsoft Office 365 deployments including Microsoft Exchange Server 2013, Microsoft Lync Server 2013, and Microsoft SharePoint Server 2013. Log Parser Studio: Log Parser Studio is a utility that allows you to search through and create reports from your IIS, Event, EXADB and others types of logs. It builds on top of Log Parser 2.2 and has a full user interface for easy creation and management of related SQL queries.